The American Society of Human Genetics (ASHG) and the National Human Genome Research Institute (NHGRI), part of the National Institutes of Health, have named Elizabeth P. Tuck (image), M.A., Upper School Science Teacher at The Wellington School in Columbus, Ohio, the first ASHG/NHGRI Genetics and Education Fellow. The 16-month appointment begins today, September 2, 2014. The Genetics and Education Fellowship is intended to help early-career genetics professionals expand their skills, experience, and network to prepare for a career in genetics education. Fellows in the program will complete rotations at both sponsoring organizations in areas that may include curriculum development, education research, faculty professional development, public education and outreach, and science education policy. Ms. Tuck has served in various roles related to science education since 2008, including teaching high school biology, developing biotechnology and neuroscience curricula for underserved youth, and organizing science café events for teenagers. She has also conducted laboratory research at the undergraduate and graduate levels, focusing on the genetics and cellular mechanisms underlying neurological diseases. “With her background in both laboratory genetics research and science education, Ms. Tuck is exceptionally well-qualified to take advantage of the opportunities this fellowship provides,” said Michael J. Dougherty, Ph.D., the ASHG’s Director of Education. “We are excited to launch this new program with a fellow who has worked in varied settings and who can effectively combine diverse perspectives to identify and address challenges in genetics education.” The ASHG/NHGRI Genetics and Education Fellowship is modeled after the ASHG/NHGRI Genetics and Public Policy Fellowship, which ASHG and NHGRI have jointly sponsored since 2002. Neurons in human skin perform advanced calculations, previously believed that only the brain could perform. This is according to a study from researchers at Umeå University in Sweden that was published online on August 31, 2014 in Nature Neuroscience. A fundamental characteristic of neurons that extend into the skin and record touch, so-called first-order neurons in the tactile system, is that they branch in the skin so that each neuron reports touch from many highly sensitive zones on the skin. According to researchers in the Department of Integrative Medical Biology, IMB, Umeå University, this branching allows first-order tactile neurons not only to send signals to the brain that something has touched the skin, but also to process geometric data about the object touching the skin. “Our work has shown that two types of first-order tactile neurons that supply the sensitive skin at our fingertips not only signal information about when and how intensely an object is touched, but also information about the touched object's shape,” says Dr. Andrew Pruszynski, who is one of the researchers who conducted the study. The work also shows that the sensitivity of individual neurons to the shape of an object depends on the layout of the neuron’s highly-sensitive zones in the skin. “Perhaps the most surprising result of our study is that these peripheral neurons, which are engaged when a fingertip examines an object, perform the same type of calculations done by neurons in the cerebral cortex. Somewhat simplified, it means that our touch experiences are already processed by neurons in the skin before they reach the brain for further processing” says Dr. Pruszynski. Daily fruit consumption cuts the risk of cardiovascular disease (CVD) by up to 40%, according to research presented at the European Society of Cardiology (ESC) Congress in Barcelona on September 1, 2014 by Dr. Huaidong Du from Oxford, UK. The findings from the seven-year follow-up study of nearly 0.5 million people in the China Kadoorie Biobank found that the more fruit people ate, the more their risk of CVD declined. Dr. Du said: "CVD, including ischemic heart disease (IHD) and stroke, is the leading cause of death worldwide. Improving diet and lifestyle is critical for CVD risk reduction in the general population, but the large majority of this evidence has come from western countries and hardly any from China." She added: "China has a different pattern of CVD, with stroke as the main cause compared to western countries where IHD is more prevalent. Previous studies have combined ischemic and hemorrhagic stroke probably due to the limited number of stroke cases in their datasets. Given their different physiology and risk factors, we have conducted the first large prospective study on the association of fruit with subtypes of stroke in Chinese adults from both rural and urban areas." The current study included 451,681 participants with no history of CVD and not on anti-hypertensive treatment at baseline from the China Kadoorie Biobank conducted in 10 different areas of China, 5 rural and 5 urban. Habitual consumption of fruit was recorded at baseline according to five categories: never, monthly, 1-3 days per week, 4-6 days per week, and daily. Over the seven-year follow-up period there were 19,300 cases of IHD and 19,689 strokes (14,688 ischemic and 3,562 hemorrhagic). Some 18% of participants consumed fruit daily and 6.3% never consumed fruit. A new study from the research group of Dr. John Lewis at the University of Alberta (Edmonton, AB) and the Lawson Health Research Institute (London, ON), both in Canada, has confirmed that "invadopodia" (image) play a key role in the spread of cancer. The study, published online on August 28, 2014 in Cell Reports, shows that preventing these tentacle-like structures from forming can stop the spread of cancer entirely. Approximately two in five Canadians will develop cancer in their lifetime, and one in four of them will die of the disease. In 2014, it's estimated that nine Canadians will die of cancer every hour. Thanks to advances in medical research and care, cancer can often be treated with high success if detected early. However, after it spreads, cancer becomes much more difficult to treat. To spread, or "metastasize," cancer cells must enter the blood stream or lymph system, travel through its channels, and then exit to another area or organ in the body. This final exit is the least understood part of the metastatic process. Previous research has shown cancer cells are capable of producing "invadopodia," a type of extension that cells use to probe and change their environment. However, the significance of invadopodia in the escape of cancer cells from the bloodstream has been unclear. In this study, the scientists injected fluorescent cancer cells into the bloodstream of test models, and then captured the fate of these cells using high-resolution time-lapse imaging. Results confirmed that the cancer cells formed invadopodia to reach out of the bloodstream and into the tissue of the surrounding organs – they essentially formed "tentacles" that enabled the tumor cell to enter the organ. However, through genetic modification or drug treatment, the scientists were able to block the factors needed for invadopodia to form. Drinking tea reduces non-cardiovascular mortality by 24%, according to a study of 131,000 people presented at the European Society of Cardiology (ESC) Congress in Barcelona on August 31, 2014 by Professor Nicolas Danchin from France. Professor Danchin said: "If you have to choose between tea or coffee it's probably better to drink tea. Coffee and tea are important components of our way of life. Their effects on cardiovascular (CV) health have been investigated in the past with sometimes divergent results. We investigated the effects of coffee and tea on CV mortality and non-CV mortality in a large French population at low risk of cardiovascular diseases." The study included 131,401 people aged 18 to 95 years who had a health check-up at the Paris IPC Preventive Medicine Center between January 2001 and December 2008. During a mean 3.5 years follow-up there were 95 deaths from CV and 632 deaths from non-CV causes. Coffee or tea consumption was assessed by a self-administered questionnaire as one of three classes: none, 1 to 4, or more than 4 cups per day. The researchers found that coffee drinkers had a higher CV risk profile than non-drinkers, particularly for smoking. The percentage of current smokers was 17% for non-drinkers compared with 31% in those who drank 1 to 4 cups per day and 57% in those who drank more than 4 cups per day. Non-coffee drinkers were more physically active, with 45% having a good level of physical activity compared to 41% of the heavy coffee drinkers. Professor Danchin said: "This is highly significant in our large population." Heavy drinkers of coffee were older than the non-drinkers, with a mean age of 44 compared to 40 years. In an August 28, 2014 press release, the National Institute of Allergy and Infectious Diseases (NIAID), part of the National Institutes of Health (NIH) announced that initial human testing of an investigational vaccine to prevent Ebola virus disease will begin in the week of September 1, 2014, and be conducted by the NIAID. The early-stage trial will begin initial human testing of a vaccine co-developed by NIAID and GlaxoSmithKline (GSK) and will evaluate the experimental vaccine's safety and ability to generate an immune system response in healthy adults. Testing will take place at the NIH Clinical Center in Bethesda, Maryland. The study is the first of several Phase 1 clinical trials that will examine the investigational NIAID/GSK Ebola vaccine and an experimental Ebola vaccine developed by the Public Health Agency of Canada and licensed to NewLink Genetics Corp. The other trials are set to launch in the fall. These trials are conducted in healthy adults who are not infected with Ebola virus to determine if the vaccine is safe and induces an adequate immune response. In parallel, the NIH has partnered with a British-based international consortium that includes the Wellcome Trust and Britain's Medical Research Council and Department for International Development to test the NIAID/GSK vaccine candidate among healthy volunteers in the United Kingdom and in the West African countries of Gambia (after approval from the relevant authorities) and Mali. Additionally, the U.S. Centers for Disease Control and Prevention has initiated discussions with Ministry of Health officials in Nigeria about the prospects for conducting a Phase 1 safety study of the vaccine among healthy adults in that country. When they are not busy attacking us, germs go after each other. But when viruses invade bacteria, it doesn't always spell disaster for the infected microbes: sometimes viruses actually carry helpful genes that a bacterium can harness to, say, expand its diet or better attack its own hosts. Scientists have assumed the bacterial version of an immune system would robotically destroy anything it recognized as invading viral genes. However, new experiments at Rockefeller University have now revealed that one variety of the bacterial immune system known as the CRISPR-Cas system can distinguish viral foe from viral friend. And, the researchers report, in a paper published online on August 31, 2014 in Nature, the bacterial system does so by watching for one particular cue. "Transcription — an initial step in the process that reads genes, including those of viruses — makes the difference," says researcher Dr. Luciano Marraffini, head of Rckefeller University’s Laboratory of Bacteriology. "The full genome of viruses in their lytic, or destructive phase, is transcribed. Meanwhile, a few of the genes from a virus are transcribed during its lysogenic, or dormant phase." Viruses in their lytic phase make copies of themselves using a cell's machinery before destroying the cell to liberate these new viruses. Viruses in their lysogenic phase, meanwhile, quietly integrate into a host's genetic material. And this is where they offer their potential benefit to the bacteria, which co-opt viral genes for their own ends. In fact, some disease-causing microbes, such as the bacterium responsible for diphtheria, must pick up the right virus in order to attack humans. 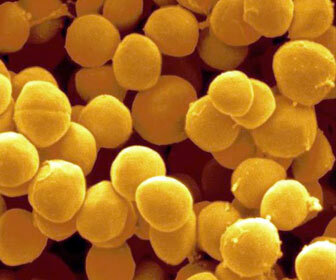 Scientists have only discovered this adaptive bacterial immune system relatively recently. One of the greatest challenges in modern medicine is developing drugs that are highly effective against a target, but with minimal toxicity and side-effects to the patient. Such properties are directly related to the 3D structure of the drug molecule. Ideally, the drug should have a shape that is perfectly complementary to a disease-causing target, so that it binds it with high specificity. Publishing online on August 31, 2014 in Nature Chemistry, EPFL (École Polytechnique Fédérale de Lausanne) scientists in Switzerland have developed a synthetic amino acid that can impact the 3D structure of bioactive peptides and enhance their potency. Many of the drugs we use today are essentially naturally-occurring peptides (small) and proteins (large), both of which are made up with the amino acids found in all living organisms. Despite the enormous variety of peptides and proteins, there are only twenty natural amino acids, each with a different structure and chemical properties. When strung together in a sequence, amino acids create peptides and proteins with different 3D structures and, consequently, different biological functions. Until recently, the vast majority of amino acid-based drugs were the kinds occurring in nature: hormones such as insulin, antibiotics such as vancomycin, immunosuppressive drugs such as cyclosporine, etc. But the mounting burden of diseases means that newer and more effective medications must be developed; for example, bacterial resistance is growing globally, pushing our need for novel antibiotics. One way to address this need is the cutting-edge field of directed evolution, which mimics natural selection in the lab to evolve and develop new peptides and proteins. The team of Dr.